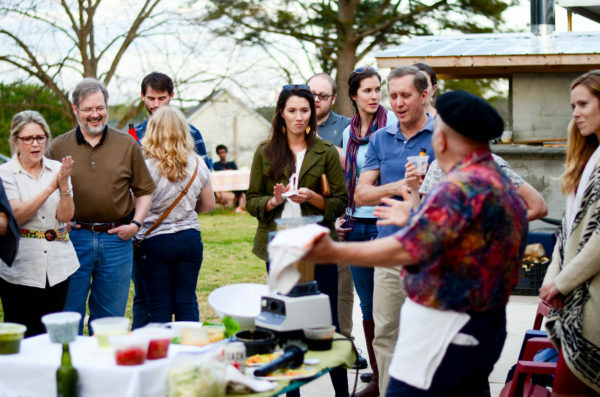 This spring we are excited to announce two brand new cooking classes at the Well Fed Community Garden. We are partnering with Lisa from Sacred & Delicious and Michelle from Farmbelly to bring innovative new cooking classes to the garden. Join us for a garden tour and cooking class using seasonal vegetables. All classes will be held outdoors. Please wear weather appropriate clothes and shoes. No dogs. Please stay tuned for our fall dates. In the mean time, keep an eye out for cooking classes at our partner Restaurant Irregardless Cafe here.